This was a pretty easy comic for me to do. 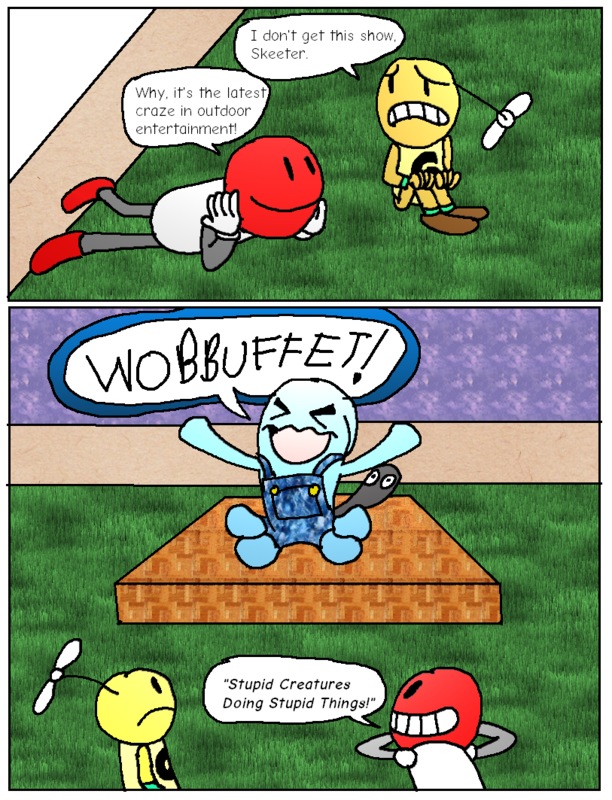 All I had to do was create a denim pattern in Gimp, then apply it to Wobbuffet's overalls. Now it's ready for its comedy routine!